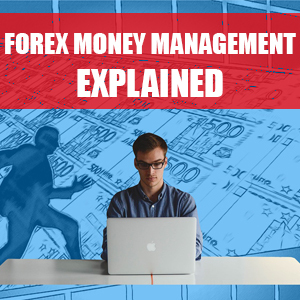 In this post I will be giving a brief overview of the basic Forex Money Management principles and how they can affect your forex trading. I will touch upon some of the most important aspects and compare the different types of Forex Money Management strategies to try and help you to understand the importance of good money management and decide on what Forex Money Management strategy is most suited to your individual trading style. In a nutshell, Forex Money Management are some basic rules that you follow when trading a forex strategy on your trading account. These are the rules that you abide by with each trade that you place to ensure that you are always sticking to the money management plan and thus maintaining some consistency within your trades. 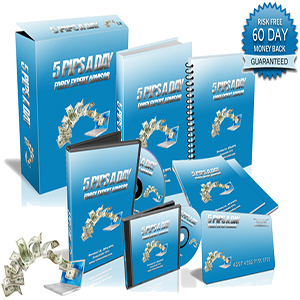 You can have the best forex trading system in the world but without following good money management principles, you could still be at a loss. Money management includes things such as stop losses, take profits, trailing stops, break evens, risk to reward ratio, etc. What are the basic principles of Forex Money Management? Some of the initial basic principles of good money management are to use a stop loss and take profit for every trade. The stop loss protects you from losses greater than your stop loss level whilst take profit targets aim to get you out of a trade in a profitable position. Some users will utilise a trailing stop to trail price in an attempt to maximise profits, especially when using a trend-based forex trading system. However, a trailing stop too tight can also cause you to get taken out of a trade too early. Other traders may also utilise a break-even to lock in a trade at the entry point to ensure that a winning trade does not turn into a losing trade. A key aspect to good forex money management is to use a take profit target that gives you a favourable risk to reward ratio, depending on your trading style. This means that the take profit target is greater than the stop loss so that winning trades are greater than your losing trades. 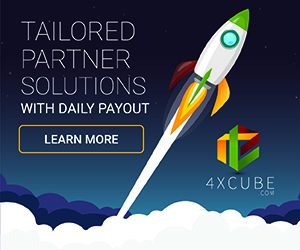 It can be frustrating to have one losing trade that wipes out multiple winning trades. But, if your risk to reward ratio is say 1:3, that means that a winning trade is 3 times greater than a losing trade. In this instance, you could even have a win rate less than 50% and still make profit in the long term. If, however, your risk reward ratio was 3:1 with a stop loss being 3 times greater than your take profit, you could wipe out 3 winning trades in just 1 losing trade. In saying that, there are some forex trading systems which depend on a high win rate so they can afford a wider stop loss but common trader knowledge is to aim for a risk to reward ratio of at least 1:3. I personally find that better risk to reward ratios are usually more achievable on the longer term timeframes such as the 1 hour charts and above. This is because they tend to have less noise than the shorter timeframes from my experience. You can catch some big trends trading on these higher timeframes. Another principle often touted around is to cut your losing trades short and let your winners run. I personally believe this is open to interpretation depending on the current market conditions. If your winning trade is reaching a turning point in the market, you may wish to exit (or use a trailing stop / break-even) rather than leave it open to possibly turn back against you. Why is Forex Money Management important? Good money management can be the difference between your forex trading system being a winning or losing strategy. It can also relieve stress when you have a trading plan and stick to it no matter what. This helps to keep your trading discipline in check so your emotions such as fear, anger and greed do not take over. If you have a money management strategy in place that you abide by then you are less likely to re-enter the market in anger, leave a loss open to get bigger or to panic and exit a trade too early. Succeeding in any business requires planning and money management can be a large part of becoming a successful forex trader. I personally wouldn’t want to enter a trade without an idea of where my stop loss or take profit is going to be and I also wouldn’t take a trade where the stop loss is too wide thus giving me less opportunity to take a favourable risk to reward take profit. A stop loss in forex is a price point that you set to exit the trade if it goes against you. E.g. If the EURUSD entry price of your trade is 1.13500 and you set a stop loss of 50 pips, your stop loss would be at 1.13000. This means your trade will be closed should price go 50 pips against you. Now, if you were trading $1 per pip (0.1 lots) this would be equal to a loss of $50 because 50 pip stop loss x $1 per pip = $50 loss. If one does not use a stop loss, there is a risk the market will keep moving against you until your account is depleted, thus not recommended. A take profit is the profit target you set on your trade that you look to exit at when the market moves in your favour. E.g. If the EURUSD entry price of your trade is 1.13000 and you set a take profit of 50 pips, your take profit would be 1.13500 and if the price moved to this level, it would trigger your take profit and give you 50 pips profit. If you were trading $1 per pip (0.1 lots) this take profit would be equal to $50 because 50 pip take profit x $1 per pip = $50 gain. A trailing stop is a point at which you move the stop “x” amount if pips from the current price level and continue to move the stop loss “x” pips from the current price level as it moves in your favour. This is a good way to attempt to maximise profits from a trade. Trailing stop losses can work especially well in trending markets. They can also cause you to get taken out of a trade too early if you trail the price to closely. When this happens. It can affect your risk to reward ratio and give inconsistency but it can also lead to winners bigger than expected. A break-even is when you move your initial stop loss to your entry price after the price has moved “x” amount of pips in your favour. This is done to lock in a trade at a 0 position just in case it turns against you. If it does, then the trade will simply close at your entry point minus costs of spread and commissions. A break-even can be a good way to stop your winning trades from turning into losing ones and also give you peace of mind if you are unable to watch the charts. Some traders may close out a % of the position once the break-even level is reached to make some profit whilst leaving the rest of the position open with the stop loss locked at the entry price for protection. The risk to reward ratio is basically how much profit you are looking to make compared to how much you could lose. So, if you had a stop loss of 50 pips and a take profit of 150 pips, your risk to reward ratio would be 1:3 as your take profit target is 3 times that of the loss amount. Most experienced forex traders would recommend a risk to reward ratio of at least 1:3 but I think it depends on the trading strategy you are using. If you are using a trading system that you know has a win rate north of 80%, you could technically have a risk to reward ratio of 1:1 or less and still make profit. However, if you are starting out most will recommend to go for a risk to reward ratio where your winning trades outweigh your losing trades. Currency pairs can have good long-lasting trend especially on the higher timeframes (1 hour and above) which can allow you to catch a big winning move even after miscalculating the start of the trend prior to that. In essence, with a good risk to reward ratio you can afford a few mistakes on entry because a winning trade can cover these losses and more. What is considered good Forex Money Management? I think this really depends on the individual trader as we all have differing opinions on what is a successful strategy. What works for one trader may not work for another. At the end of the day, a trader is probably more likely to do well using a money management strategy that they are confident with. If they had doubts about it, it could affect their overall trading and lead to mistakes on entry and exits, whilst triggering other emotions such as fear and greed. In saying that, my years of studying has shown me that most traders preach a 1:3 risk to reward ratio as a minimum. Some traders would not even consider placing a trade no matter how good the setup is if it does not have a 1:3 risk to reward ratio. Of course, a stop loss would be advised to avoid huge drawdowns and a potential margin call / stop out whereas a break even can protect your trade and a trailing stop maximise profits. What are the advantages of good Forex Money Management? It goes without saying that good money management can help to improve long term performance provided you are using a reliable forex trading system. You will also need to have good forex discipline to abide by the rules set out in the money management plan. Good money managment can help with consistency and preventing trading emotions taking over! At the end of the day, you would need to use a forex money management strategy that you feel happy with and one that compliments your trading style whether that be scalping, intra-day or swing trading. What is considered bad Forex Money Management? Again, this is open to interpretation but in my opinion bad money management would be not using a stop loss, having losing trades much greater than winning trades, hedging (what I call hiding losses), grids or martingale strategies where you simply keep increasing lot sizes to make up for a losing trade. Things can get messy real quick! Bad money management can also be considered a money management plan that you are not happy with. If you are not happy and comfortable with it then I wouldn’t personally use it. That being said, some traders are more than happy to use risky strategies as they are more risk inclined and do not mind the extra risk for the potential rewards. What are the disadvantages of bad Forex Money Management? Bad money management can lead to huge drawdowns, margin calls, stop outs and blown accounts. Money mangament can be the difference between a winning and losing forex trading strategy. 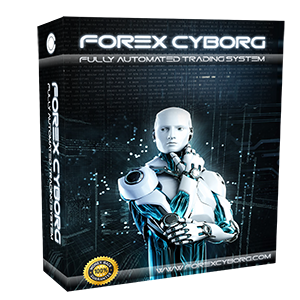 In fact, I have seen traders using the EXACT same forex trading systems but have completely different results. Why? Well, one user may be trading noisy timeframes such as the 1 minute chart and using a stop loss of 100 pips with a take profit of 10 pips. In this scenario one loss would wipe out 10 winning trades! That could be a week’s worth of winning trades. The other more profitable trader in this scenario could be using longer term 4 hour charts and have a stop loss of 50 pips with a take profit of 150 pips. They could afford 2 losing trades with 1 winner in a week and be 50 pips in profit! Not to mention, trading the 4 hour charts usually means less chart watching and less stress. If you open a 1 minute chart and 4 hour chart on your trading platform now, I am pretty sure you would be able to identify a trend easier on the higher timeframe. Although, I tend to think most traders on the smaller timeframes trade on these as they want as many trades as possible to grow modest accounts but they don’t realise how noisy these timeframes can be. Sorry, I am digressing – I could go on for days but I don’t want to bore you anymore! What Forex Money Management principles should you follow? 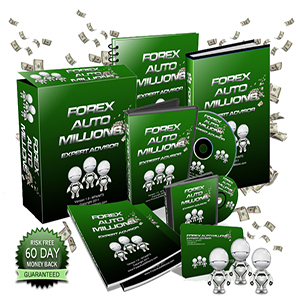 Follow a forex money managment strategy that you feel comfortable with would be my ideal solution! Every trader is different. No matter how good a forex money management strategy is, it is only as good as the trader applying it. Whatever strategy you chose, I would personally try to stick with it as tempting as it can be to try and adjust the rules as you go along – “ah well, I can widen the stop loss as price will eventually go in my favour” – “so what if the risk to reward on this trade is not my 1:3 target, I will take it anyway as it is a dead cert for a 1:1” – us traders can be our own worse enemies sometimes. Try to stick to the plan, man! Previous Previous post: What is Forex Leverage and Margin and how do they impact forex traders?